My brother Dylan and I planned to meet for lunch in the city, but didn’t decide where until the morning of. You know your brother knows his francophile sister when he suggests “the Belgian place” a few blocks away from his office. 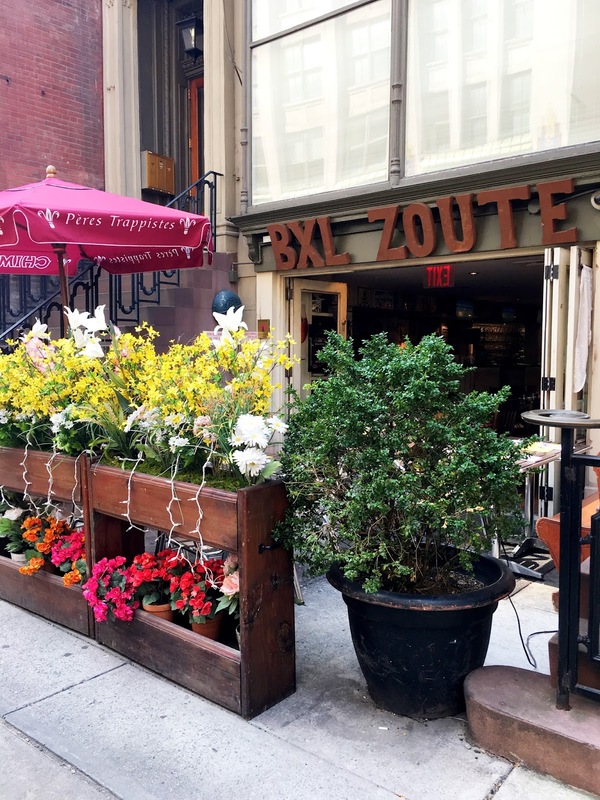 BXL Zoute stands proudly on West 23rd Street like a carefully tended floral garden in the middle of concrete jungle. 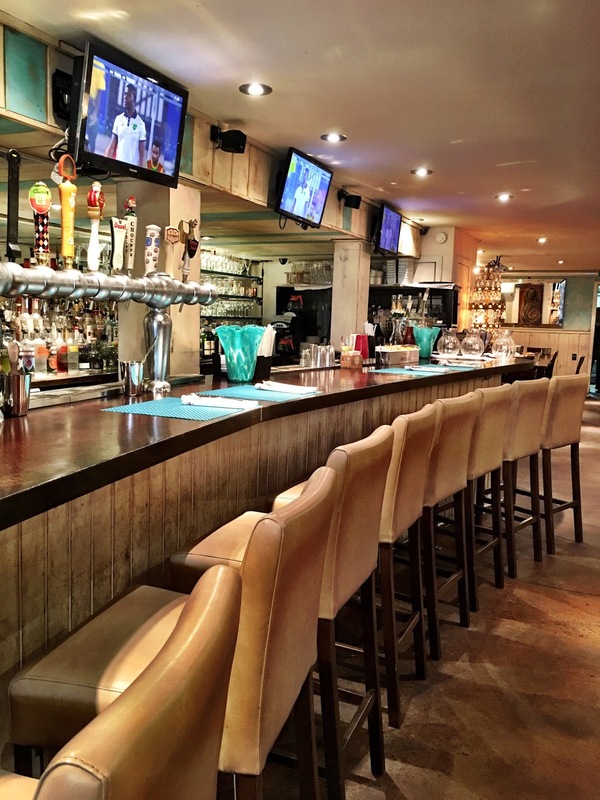 Its interior boasts a polished urban aesthetic with relaxed, European charm. 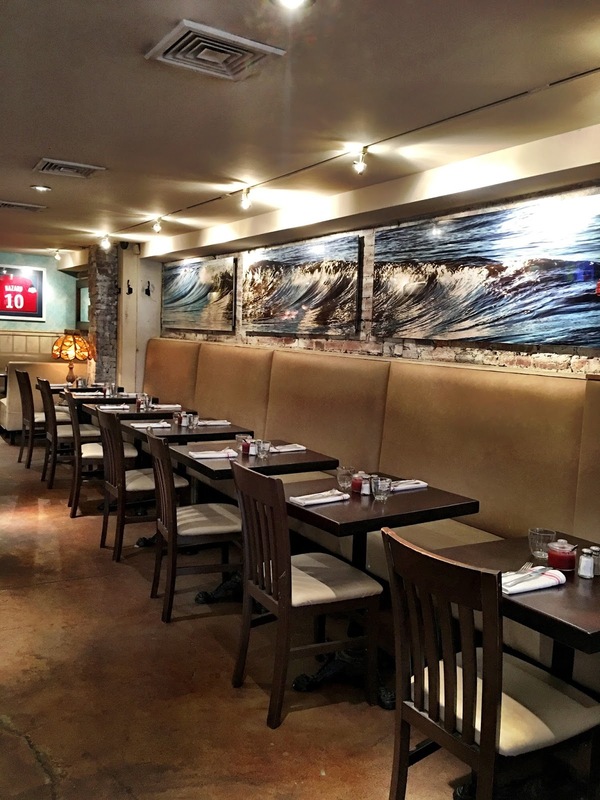 The soft teal and bark color scheme, as well as the wave art spanning across the bar, evokes a longing for the coast (Biarritz, perhaps?). 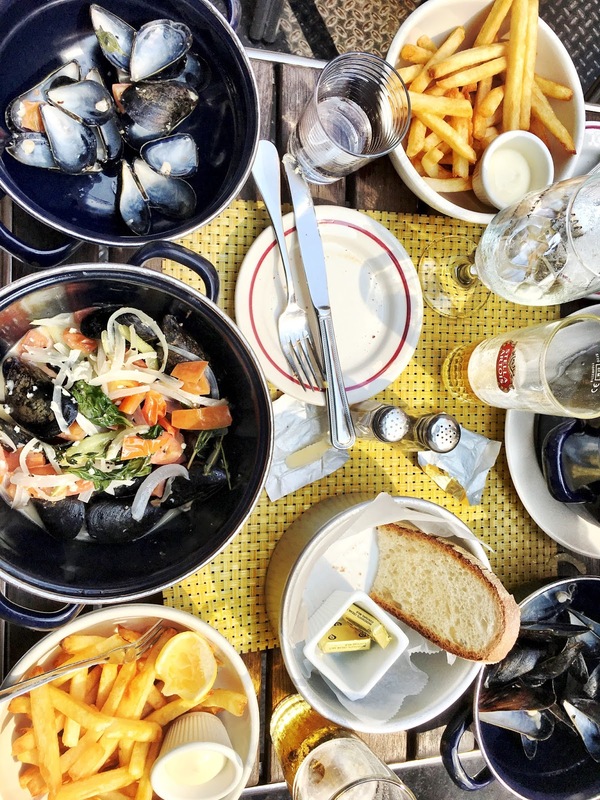 Dylan and I chose a table outside and decided to order the moules frites prix-fixe for $17 each. 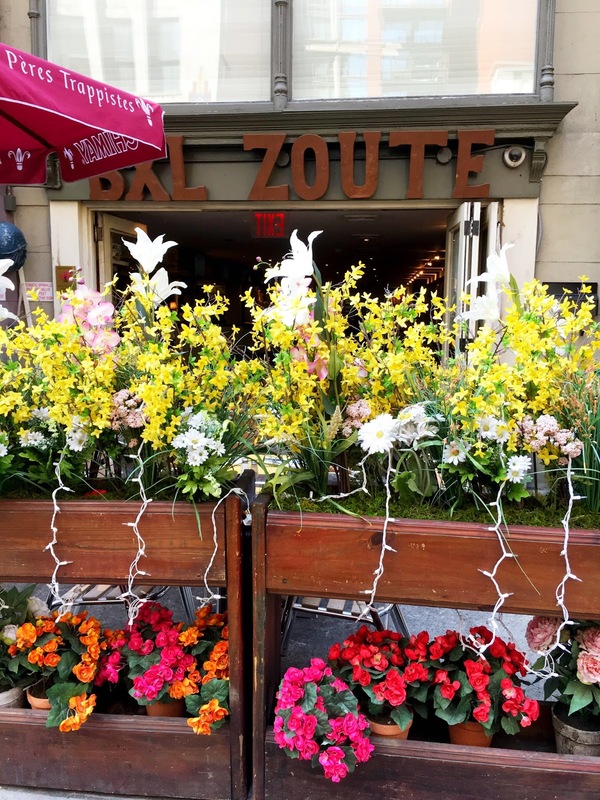 There are several options for the lunch prix-fixe and I would be surprised to find a more simply decadent mid-day meal for under $20 in Flatiron.